Remember those 75 cake pops I made for my bestie’s bridal shower this past summer? Well, those would’ve been impossible without Candy Melts. There are different brands of Candy Melts, but I’m partial to Wilton’s. Mostly because that’s all they sell at Michael’s. And with the holiday season upon us (anyone still have some holiday shopping left?! Um..I DO!) Wilton’s has provided some festive candy melts for yours truly. Yup, it’s exciting. 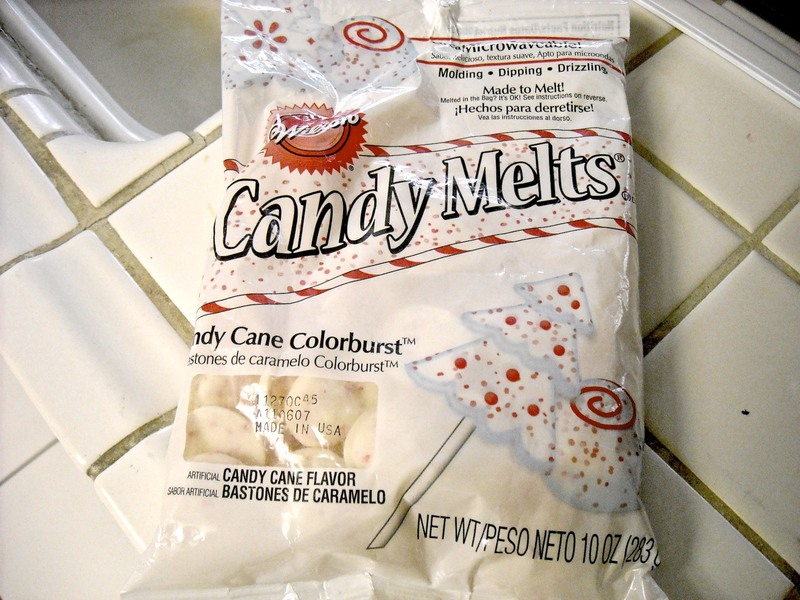 Those are indeed white candy melts with red peppermint flakes in them. Are you swooning? Jumping for joy? Squealing with delight? Clapping your hands while chanting ancient mythological hero names like this? Well, I’m excited. I’m turning those candy melts into some Christmas (and Hanukkah) candy to give out with my presents this year, and for that, I’m thankful for Candy Melts. They’re making my creative juices flow.